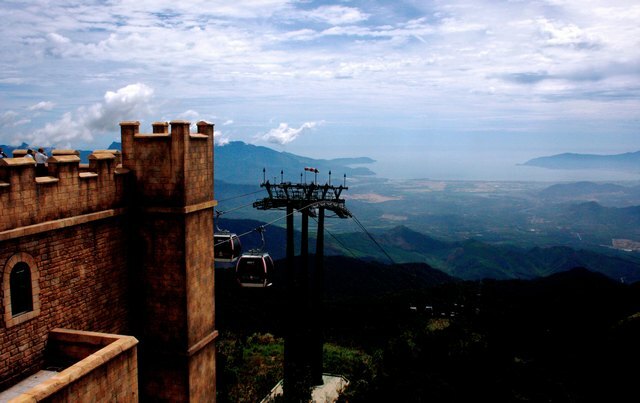 The Ba Na mountain is one of the most beautiful mountains of Da Nang with the Marble Mountains and Son Tra Mountain. 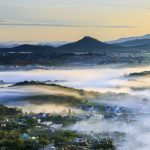 Ba Na mountain located 1 area belongs to Truong Son Mountains, is located in Hoa Ninh Commune, Hoa Vang District, from Da Nang 25 km to the southwest. 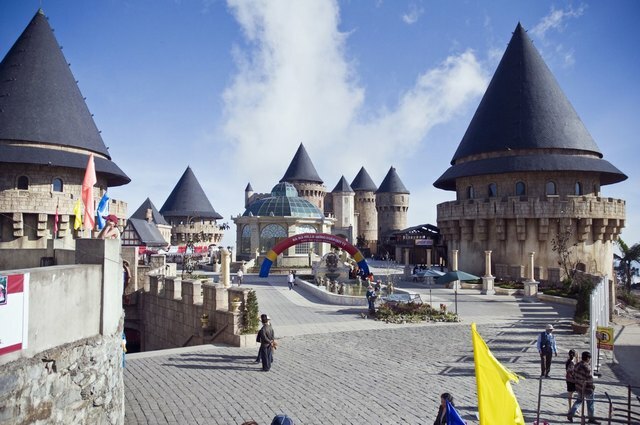 Tourism center of a Ba Na mountain located at the top Nui Chua 1489 m altitude above sea level. 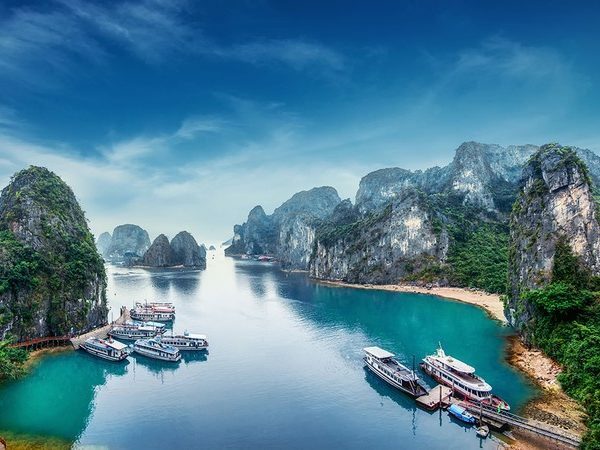 Continuation of the discovery and construction of Da Lat, February 1900, the Governor General of Indochina Paul Doumer elected captain Victor Adrien Debay French Army reconnaissance neighboring mountainous area of Da Nang – Hue to seek more leisure destinations, convalescence and healing. 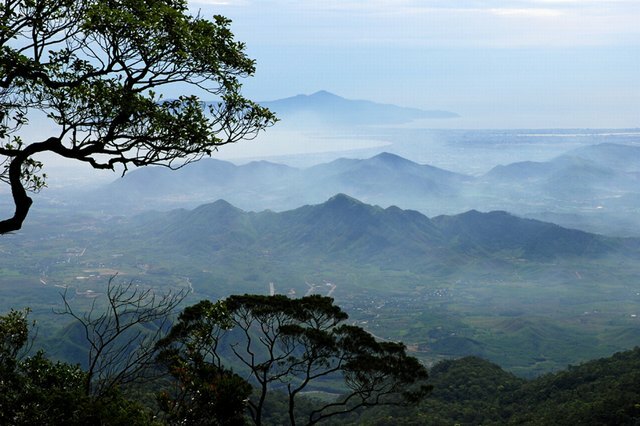 After many times exploration, to April 1901, the expedition of Debay found Nui Chua, or Ba Na mountain , on top of relatively flat terrain, the climate is similar to Da Lat and from Da Nang city just about about 46 km to the west. 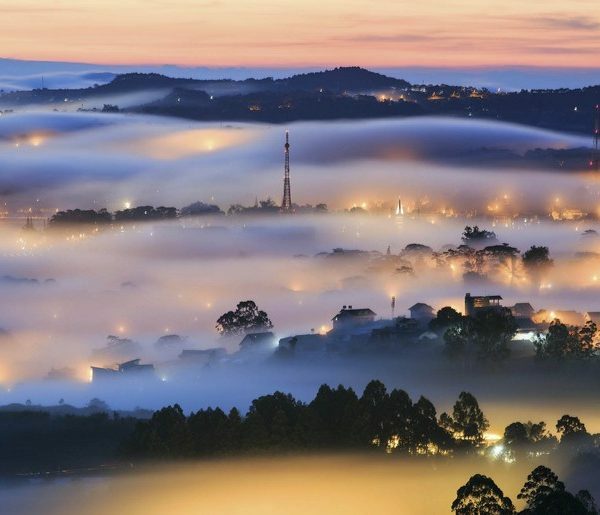 But until 1912, when the governor of Indochina decrees turns Ba Na mountain into a forest conservation area, the research of this mountain range have been stepped up. 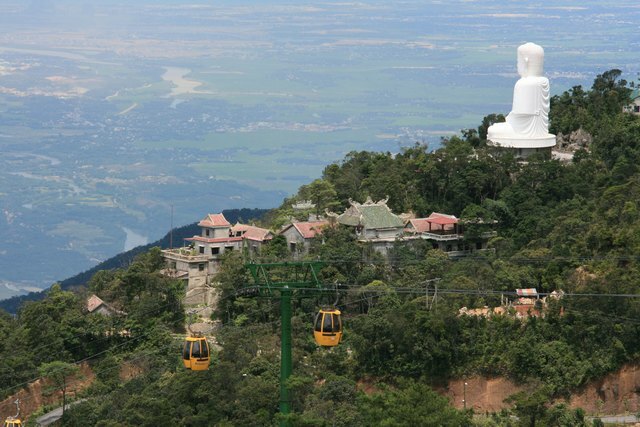 And then in May 1919, lawyers Beisson became the first person build resort in Ba Na. 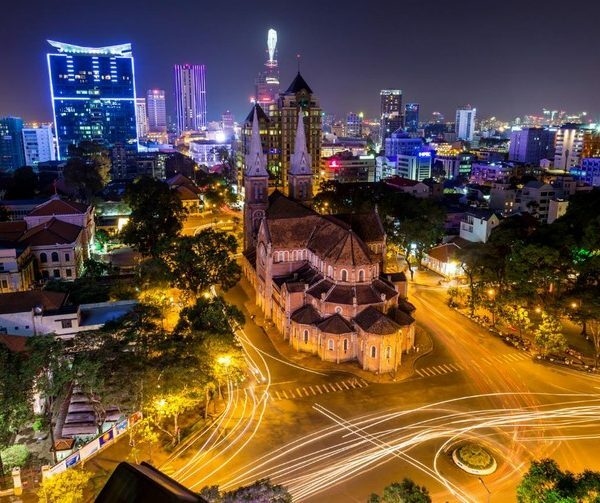 Origin of name Bana, someone said that when the French arrived in this region saw a lot of bananas so called banana mountain, long gradually Vietnamese people read deviated into Ba Na. 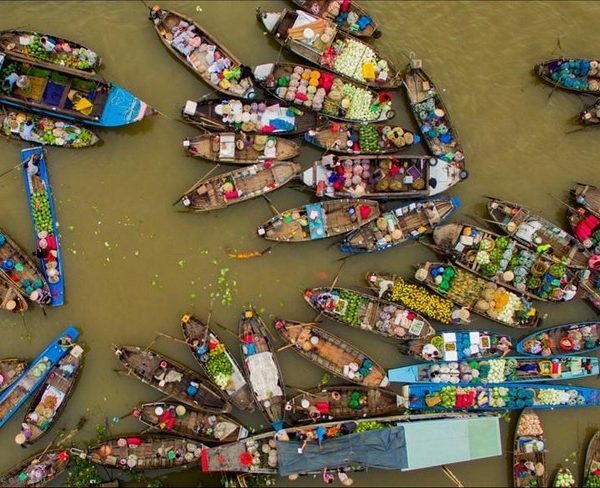 As writer Nguyen Ngoc says letters Ba Na is language Katu people meaning “mountain of them”. 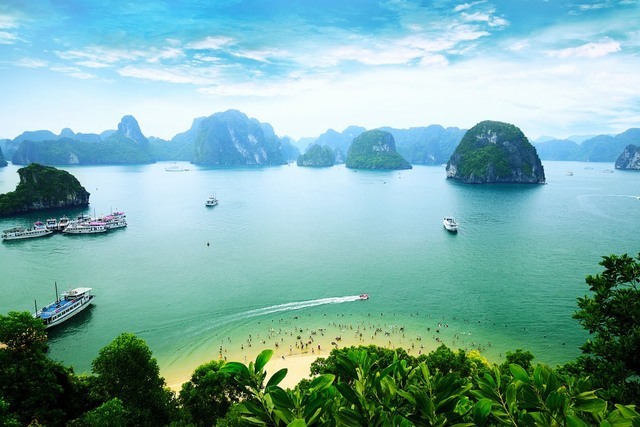 Another legend says the name of the mountain is the abbreviation Ponagar or Thien Y A Na. 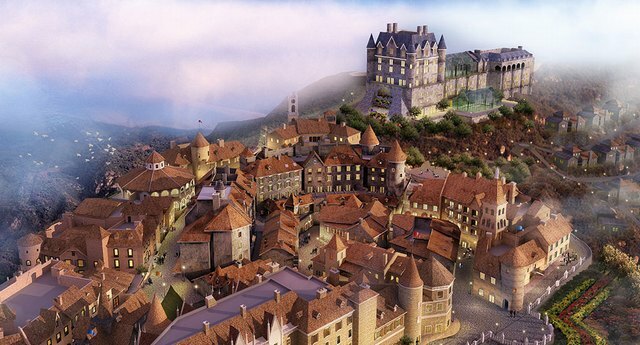 In 1912, France conducted planning of Bana, have policies to protect animals and plants, investigate and seize the residential surrounding Ba Na area. 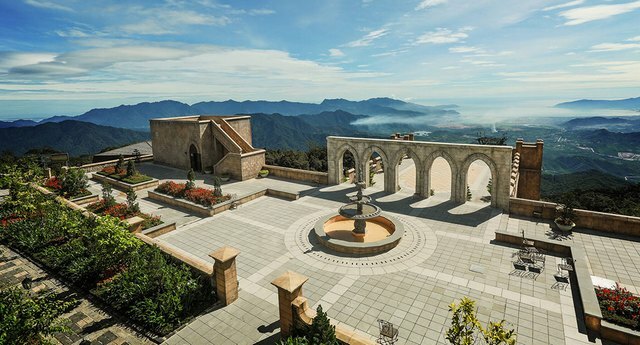 After World War I (1914-1918), the French promote build Bana resort, complete roads connecting Ba Na with colonial road number 1 (later Highway 1) in 1919, making it easy access to government offices, officials and French nationals invest in building resorts, business at Ba Na. 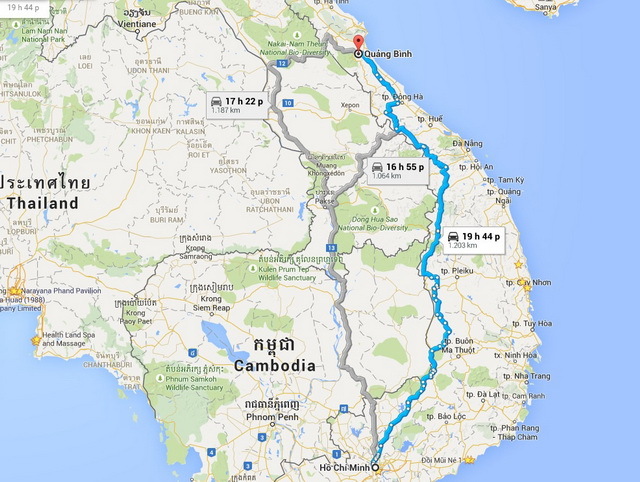 At first, the car runs from Da Nang to Ba Na to stop at kilometer 28 in horizontal Phu Thuong; The remaining section will ride horses or palanquin chair, take about 3-4 hours to reach the resort. In 1928 the last ramp to the top of Ba Na is complete, with over 15 km dirt road winding, meandering. Visitor numbers to the Ba Na in the first time is still pretty meager. 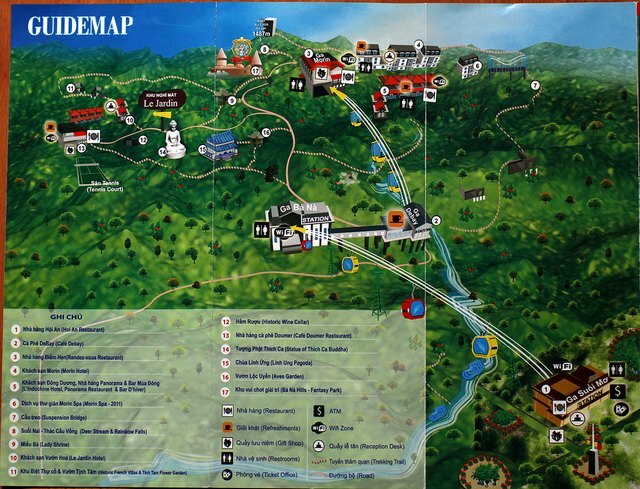 After the August Revolution in 1945, Ba Na gradually without people. When the French returned to invade Vietnam the 2nd, local people implementing the policy of scorched earth resistance should have to destroy the buildings in Ba Na. Since then, the resort gradually abandoned and covered with forest in almost half a century of oblivion. 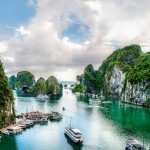 In early 1998, Da Nang City People’s Committee decided to rebuild the Ba Na into an eco-resort a large-scale with motels, restaurants, nature reserve. The road from the bottom to the top of the Ba Na mountain length 15km have been paved, traffic convenience. 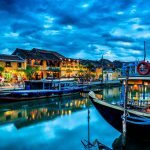 After 2000, Ba Na was awakened and renewable status tourist town and a quick return to the throne of one of the most famous tourist destinations of Da Nang. 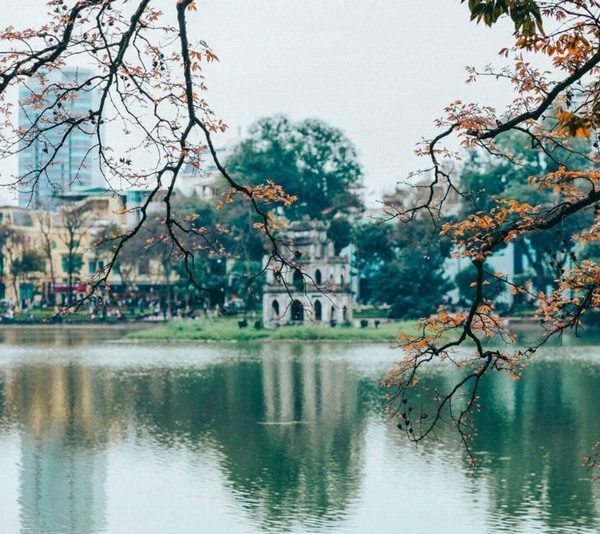 This mountain range has a tropical climate regime with an annual average temperature of 15-20 ° C, the highest point for 22-25 ° C, while at night, the average temperature at night around 15-17 ° C .
The Linh Ung pagoda was completed on March 5, 2004, the temple has many similarities to Tam Thai Pagoda (Marble Mountains), in particular, the temple is a white statue of the Buddha tall 27 meters. Around substrate statues have 8 surface represents the 8 stages of Buddha’s life. 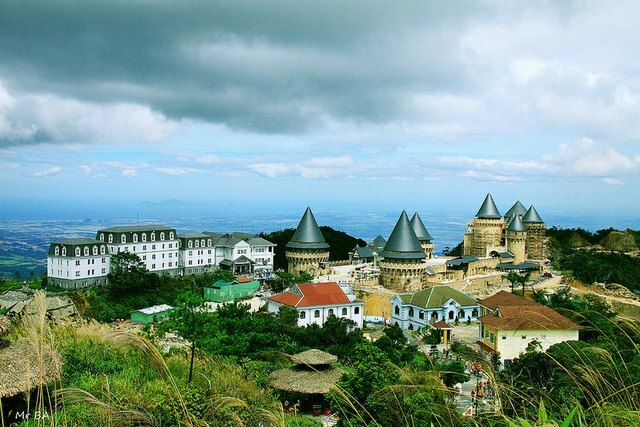 On the Ba Na Mountain, the resort area of French soldiers has appeared since the early 20th century that now exist across the jungle ruins, today, the villa, guest houses have been rebuilt and appeared in the resort: Ba Na by night, Le Nim, Villa Hoang Lan. 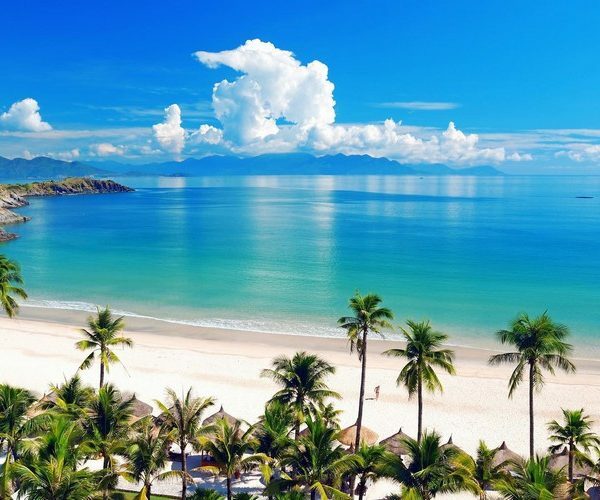 And in recent years, Da Nang continues to restore and build some ancient villas, the Buddhist culture, wineries and numerous hotels, villas, bars, tennis courts, golf, badminton. 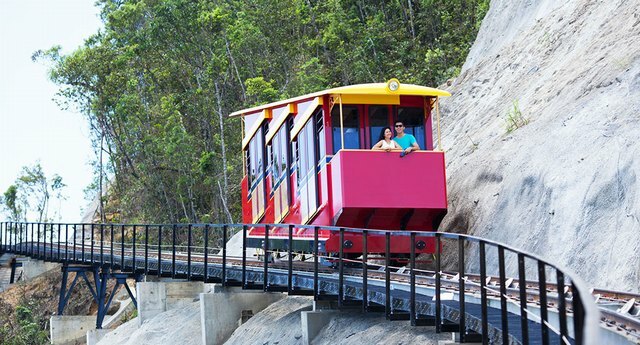 When you take cable car go to the top of the mountain, many visitors can look down and see Suoi Mo(Dream Stream) flowing below. 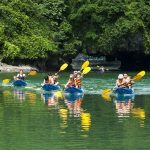 In summer, Suoi Mo becomes very crowded of tourists because it offers a 9-storey Toc Tien waterfalls look like mermaid’s hair. 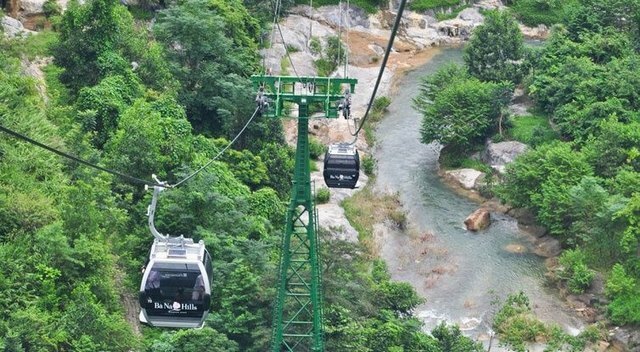 Construction works on the overall 30 hectares by Corporation Service Ba Na cable car conducted build in 2007 for the items: arrival station from An Loi connecting to the summit Vong Nguyet, technical areas, operators, and other support works. 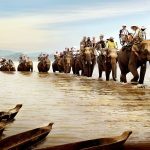 The total investment of over 300 billion. 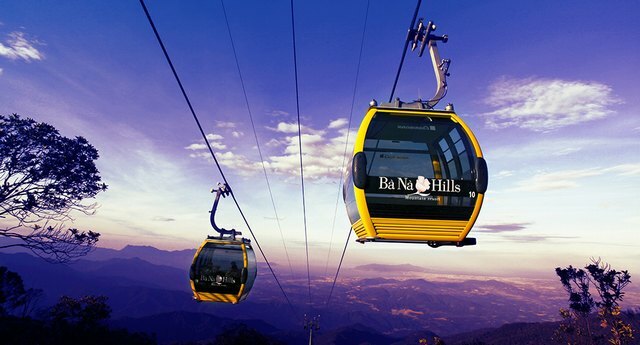 From the top of Ba Na Mountain, West is the Truong Son mountain, East is Hoa Vang rice field. 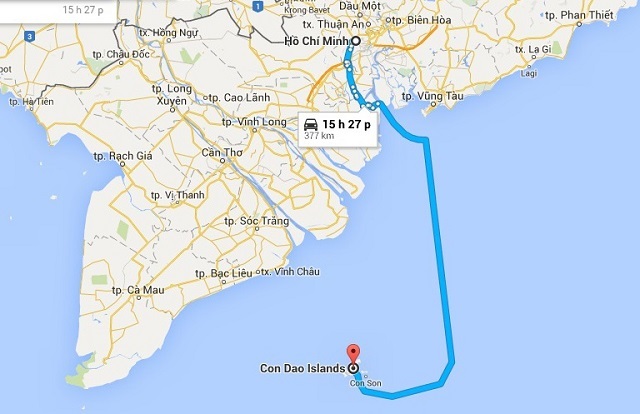 From here you easily see the Son Tra Peninsula, Thu Bon River, Hoi An, Da Nang city.